Potomac Riverkeeper, Inc. is a nonprofit organization comprised of three Riverkeepers (Potomac, Upper Potomac, and Shenandoah) whose mission is to protect the public's right to clean water in our rivers and streams. We stop pollution to promote safe drinking water, protect healthy river habitats, and enhance public use and enjoyment. Our work spans the entire Potomac and Shenandoah watersheds, encompassing some 15,000 square miles in Maryland, Virginia, Pennsylvania, West Virginia, and the District of Columbia. 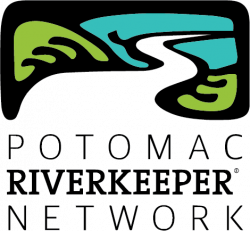 Potomac Riverkeeper Network. accomplishes its mission through three main programs including the Assessment, Enforcement & Advocacy, and River Access & Recreation Programs. Under these programs, we continuously assess, identify, and prioritize major pollution threats in the Potomac and Shenandoah Rivers and take legal action against polluters when necessary. In addition, we work to protect and enhance public use of our rivers and create opportunities for enjoyment of our waterways. Founded in 2000, Potomac Riverkeeper Inc. currently has a staff of 9 and an operating budget of over $1,000,000 (not including the $2,500,000 in donated legal services). Funding comes from foundations, corporations, and individuals. PRKN is located in Washington, DC, with field offices in VA and Maryland. It is governed by a Board of Directors with a wide variety of skills and experience, and a deep commitment to restoring the health of the Potomac River. PRKN is a proud member of the Waterkeeper Alliance. To learn more, go to www.prknetwork.org.